When you are pre-approved for a mortgage, we can do a complete verification before you start looking for a home. Your Collin Bruce Mortgage Team member will let you know what you can afford based on your salary, lender criteria, and insurer criteria, and they can tell you what your monthly payments will be. We will explain the benefits of short- and long-term mortgage terms, the latest programs available, the best mortgage products for your needs, and the other costs associated with buying a home. We can lock in interest rates for up to 120 days while you shop. By locking in this interest rate, you are guaranteed to receive a mortgage for that rate or better. If rates drops, your locked-in rate drops as well. But if rates go up, yours stays the same. This ensures you will receive the best rate throughout the pre-approval process. Home buyers can have difficulty choosing between a fixed rate or variable rate mortgage. The decision will depend on your tolerance for risk and your ability to withstand increases in your mortgage payments. Market conditions also play a huge factor in the choice between a fixed or variable rate. Fixed rate mortgages appeal to people who prefer a conservative mortgage approach, manage tight monthly budgets, or want stability in their payments. Since 2012, fixed rates have been hovering near record lows. Variable rate mortgages, however, allow the borrower to take advantage of lower rates, which are calculated on an ongoing basis at a lender’s prime rate plus or minus a set percentage. For example, if the current prime rate is 3.0%, the holder of a prime minus 0.5% mortgage would pay an interest rate of 2.5%. Owners of a variable rate mortgage can sometimes expect a financial benefit, but this will vary depending on the current economy. 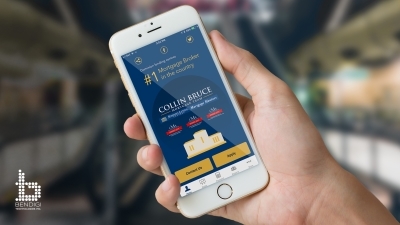 Your Collin Bruce Mortgage Team member can discuss the options with you to make sure you understand the risks and rewards of each mortgage type. Whenever you borrow money or make a payment, the credit lender sends information about the transaction to credit reporting agencies. These agencies create a credit report and manage your credit score. Your credit report is a listing of mortgage and consumer debt, liens, judgments, and other information. Your credit score tells lenders whether or not you are a lending risk. The score ranges from 300 to 900; the higher the score, the better. Lenders and employers view your history and credit score as a reflection of your character and lifestyle. That makes your credit report and credit rating vitally important to your financial wellbeing. They affect the job you get, the apartment you rent, and the ability to borrow money or even open a bank account. Because this is a working document, the Collin Bruce Mortgage Team can help you obtain a copy so you can repair damaged credit and increase your score. There are many factors to take into account when choosing a term length. If paying your mortgage places you on the edge of your financial comfort zone, your best choice is a longer-term mortgage so you can continue to afford payments if rates increase. If you are shopping for an investment property, you should also consider a longer term. This will keep payments steady for a long time and allow you to accurately project your future income from the property. It can be difficult to choose the mortgage that’s right for you. By understanding your personal situation and risk tolerance, a mortgage professional can help you make the right decision and save you money over the length of your mortgage. Don’t Have the 5% Down Payment Saved Up? With all mortgages, you need to have at least a 5% down payment. We have mortgages available so you can borrow the down payment from a line of credit or loan and still get the best rates available. We can even help you set up the line of credit. This is a great way to take advantage of the low interest rates and housing prices without having to wait and save up the down payment. The minimal amount of interest you would pay on the borrowed down payment, compared to the potential difference in higher interest rates and housing prices in future, means you are way further ahead by buying now. Let the Collin Bruce Mortgage team provide you with your no down payment mortgage now! You can pay off your mortgage sooner by planning ahead. Mortgages in Canada are usually amortized anywhere from 25- to 35-year terms. However, you can save money, pay less interest, and pay off your mortgage much sooner by planning ahead and making a few small sacrifices. You can start by making payments on a weekly or bi-monthly basis. This will lower the interest paid out over the mortgage term, and it can lower the length of the mortgage itself by several years. If your income increases due to a new job or a raise, you can add the difference to your mortgage payments. Your balance will drop more quickly, but it won’t feel like you are changing your spending habits. Mortgage lenders also allow you to make extra annual payments. You can apply these payments as a single lump sum and watch your remaining mortgage balance decrease dramatically. Get a mortgage plan that helps you succeed. Prospective homebuyers who are self-employed can run into difficulty when they are trying to obtain personal financing such as a mortgage or car loan. It can be difficult for new business owners to prove a long-term income, which can make them look like poor credit risks, even if their income is perfectly stable. Luckily there are mortgage plans available to finance a primary residence and even a vacation home. These products are structured to help you succeed in both your personal and business lives.